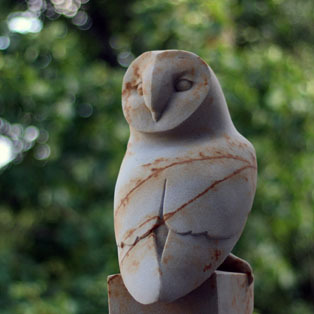 The natural world and local wildlife continue to be at the heart of Jennifer’s sculpture. She enjoys the process of shaping stone, direct carving into blocks of sandstone to create simple forms, with clean lines and smooth finish. To view pieces currently available please click below. 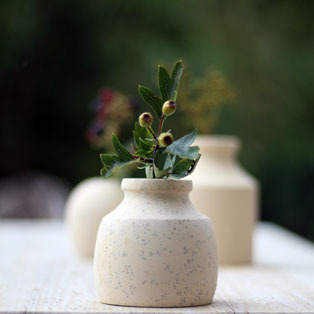 A small range of practical and stylish ‘finishing touches’ and garden features in stone. An inspiring collection of individually made pieces for those who love their outdoor spaces. Please contact if you would like to view sculpture at the workshop. 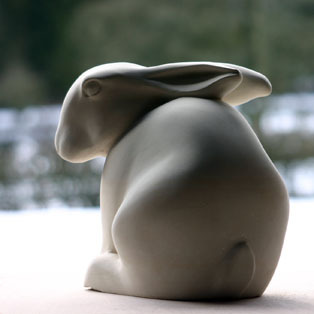 You may wish to have a sculpture made specially – for you, a particular place or person. Jennifer will work closely with you throughout the commission process to help bring your ideas and inspirations to life.